The Martian Madness DJ from Planet Mars Radio reads pseudo words to your child. These words provide a means of assessment. 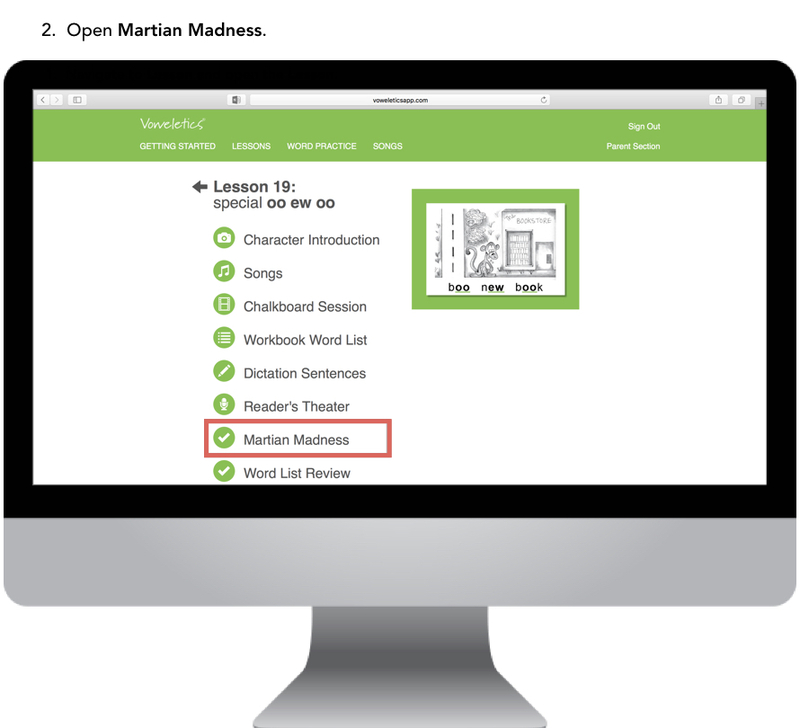 Martian words will be spelled correctly if you child correctly applies the phonetic rules taught throughout the program. The mysterious music and fictitious words will captivate your child's attention. This motivates them to focus on the vowel sounds and rules to correctly spell the Martian words.